For our latest Regional Conference, we were kindly invited by our Vice-President Christine von Stefenelli and her SVP-Senioren. During these three days, we were presented an intense schedule with numerous high-level speakers on a broad array of issues. 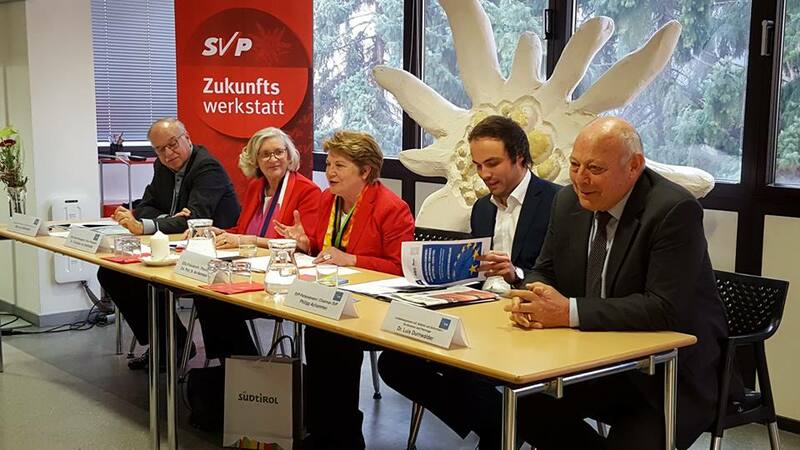 The aim of this conference was also to introduce all participants to the lovely South Tyrol and its special history of the coexistence of different ethnic groups and languages and to experience how, in a small region in the middle of Europe, the great European values and ideals gradually become political and social reality. All participants were amazed by the marvelous weekend that we’ve experienced. Not only the intellectual debates on the biggest challenges our society encounters, but also the warm informal contacts among all representatives was extremely enriching for our hearts and souls. 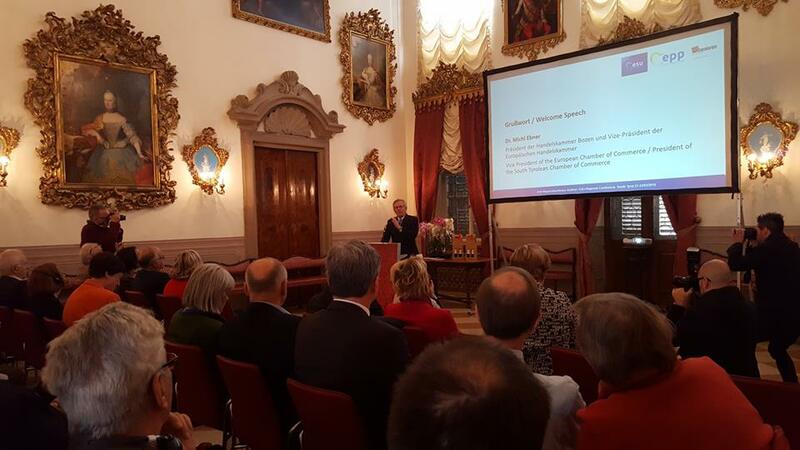 Therefore, we would like to thank all organizers again for the excellent regional conference in Bozen. Every single element was an added value for the conference. We admire the creativity our Vice-President and her SVP-Senioren have shown during this whole process. We cannot thank them enough for the wonderful times all of us had in the beautiful Bozen.